Our professionals, who have been admitted as experts in state and federal courts, clearly convey their findings in writing and on the stand. CCA’s team has assisted attorneys in all phases of litigation, from pre-case assessments to post-judgment related analyses. We pride ourselves on the diversity of our services as well as on the body of experience our team possesses. A Financial institution discovered that an individual debtor, who seemed to have lost the ability to meet their obligations as a result of the 2008 economic crisis, retained control of real estate assets that had significant value after the crisis subsided. The debtor and their affiliates were involved in direct and indirect transactions with third parties that suggested values different than values attributed to those assets during the transfers among affiliates. Based on CCA’s summary, counsel was able to demonstrate that the debtor had rearranged direct ownership of valuable assets without divesting control of those assets. CCA worked with counsel to develop a straightforward exhibit demonstrating the timeline of events that illustrated the financial story behind the affiliated transfers. Influenced by CCA’s exhibit and the potential for subsequent testimony from our experts, the bank was able to negotiate a settlement of the obligations with the debtor. Our litigation support services are led by John Alfonsi, CPA, ABV, CFF, CFE, CVA. Cendrowski Corporate Advisors’ financial expert witnesses artfully and simply communicate complex case facts through written reports and oral testimonies in various legal forums. Juries, judges, arbitrators, mediators and other members of the court are typically not accountants. The ability to clearly communicate accounting concepts and the economics of a transaction is essential to the success of the case. Our expert witnesses are backed by years of experience in their respective fields of expertise. Prior to joining the firm, many worked in industry or have an academic background in their field of expertise. To help identify case issues and needed documents early in the litigation process, our expert witnesses are involved through all phases of litigation including pre-case assessments, discovery assistance, case analysis, and testimony at trial. We have a defined client and document intake process based on our years of experience in expert testimony, which includes electronic and paper-based evidence capture, document indexing, and appropriate chain of custody controls. Our expert witness testimony services are led by John Alfonsi, CPA, ABV, CFF, CFE, CVA. Forensic accounting services represent a core competency for the firm, with a focus on our team’s professional, litigation, and expert witness experience. From our office in the Metro Detroit area in Bloomfield Hills and our downtown Chicago office, our forensic accounting services cover a national client base. We have provided forensic accounting support to attorneys in high profile accounting malpractice and accountants’ liability cases, including those pertaining to auditing procedures, tax services, business valuations, economic damages analyses, and internal control failures. We work hand in hand with the legal team, providing analyses that document and retell the events which transpired. We also provide expert testimony to explain these technical details to the court. Outside of the courtroom, CCA team members provide forensic accounting services to numerous public and private organizations. In some instances, our services are employed reactively, such as in the event of fraud investigation. 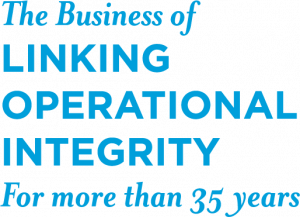 In others, our services are proactively utilized to develop robust processes and internal controls to deter fraud. These latter, proactive services allow organizations to identify and analyze key accounting procedures and record keeping methods. We seek to identify potential accounting transaction problems and issues before they happen. We are frequently engaged by companies to perform internal forensic investigations involving defalcation, collisional purchasing fraud, financial misrepresentations, and intellectual property rights violations. Our team provides these services in strict confidentiality: often, the subject of the investigation is unaware that an investigation is taking place. This helps prevent disruption of the business and provides management with facts to allow careful planning of remediation steps. Our Forensic Accounting services are led by Walt McGrail, Jim Martin and John Alfonsi. Our economic damages consultants and expert witnesses play a critical role in the outcome of commercial and business disputes. Through their expertise and communication skills, they bring all components of a dispute together in a manner in which attorneys, judges, and juries can understand. Both plaintiff and defendant experts apply critical analyses to all aspects of a case, from pre-litigation assessment, through discovery, to post-judgment analysis. Our multidisciplinary team consists of leading professionals who are nationally recognized experts in economic damages, valuation, IFRS and US GAAP, enterprise risk management, tax matters, due diligence, ethics, forensic accounting, and fraud. This diverse expertise allows us to offer a unique risk-based approach to the litigation process, all areas of which are addressed by our team. Our damages opinions and critique of damage calculations include consideration of internal and external factors affecting the dispute, application of professional standards, tax issues and accounting standards. Our economic damages services are led by John Alfonsi, CPA, ABV, CFF, CFE, CVA. Our approach is utilized in all damages theories including actual and consequential damages, compensatory damages (expectation damages and reliance damages), and restitution or disgorgement damages. 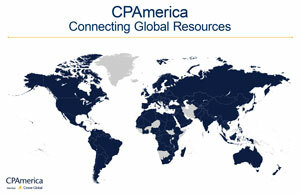 Our receivership services are led by James Martin, CMA, CIA, CFE.